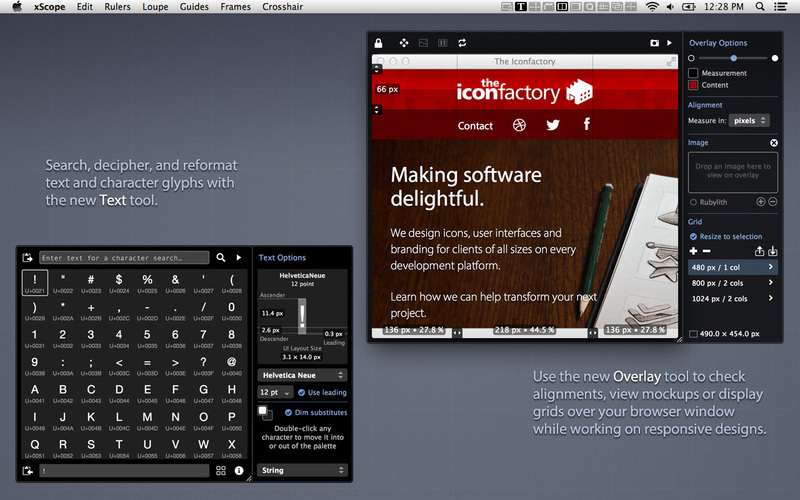 A powerful way to search, decipher, and reformat text and character glyphs. 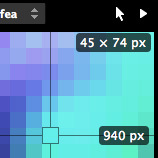 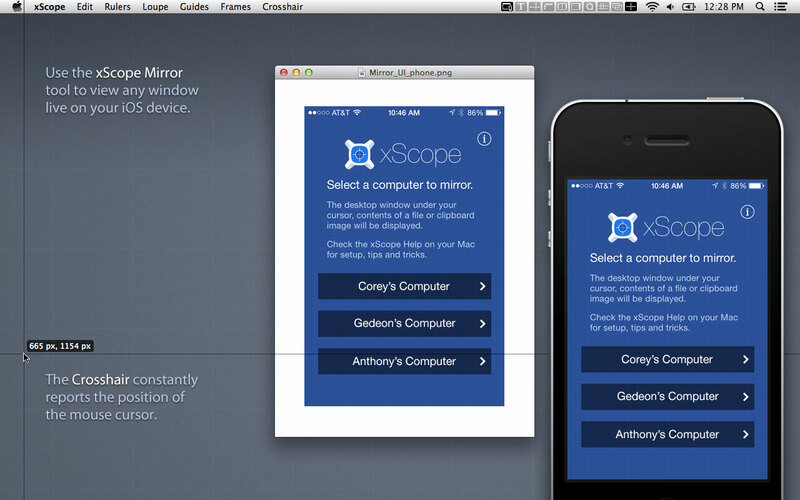 Check alignments, view mockups or display grids over your browser while you work on responsive designs. 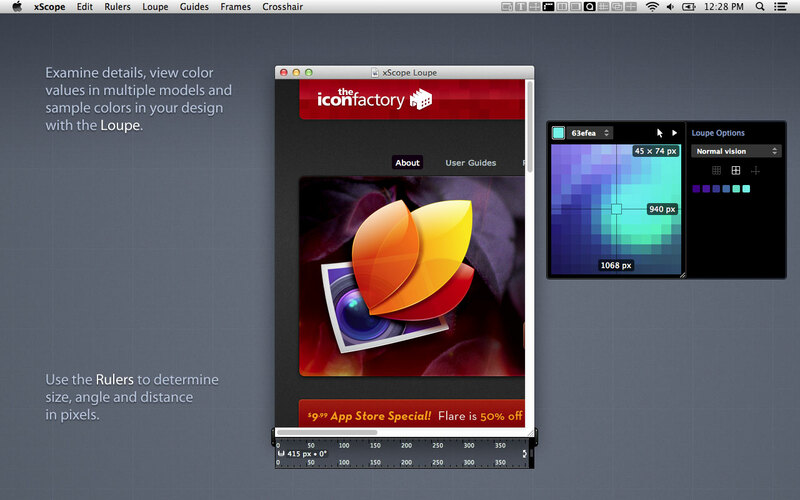 Magnify part of your screen, copy colors and simulate how colors appear to users with vision impairments. 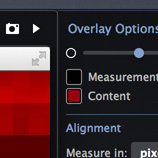 Create, layout and adjust custom marker boxes that float on top of all other on-screen elements. 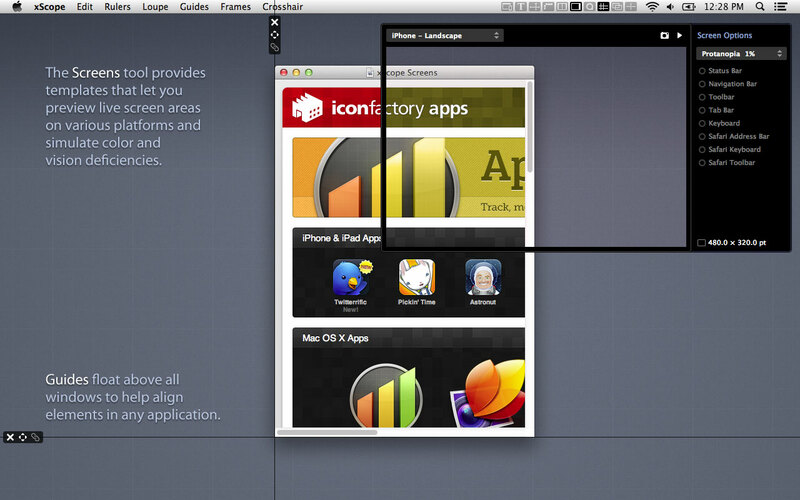 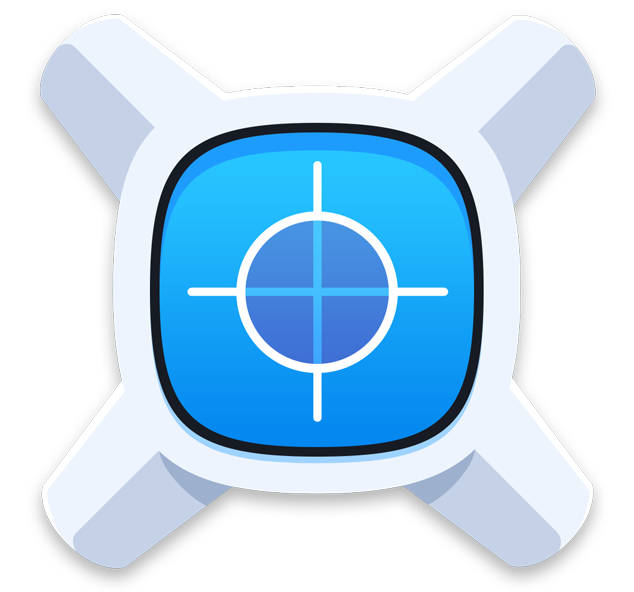 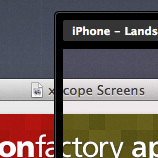 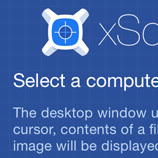 xScope is designed to work with Apple's Retina Displays.